Check in after 3pm Friday afternoon and check out Sunday 10am. This is rated as one of the best playgrounds in the country, with activities galor from fat biking, skate skiing, nordic sking, snow shoeing and tubing. Acres of terrain to play on, incredible mountain views and accommodation to suite large groups like ours. 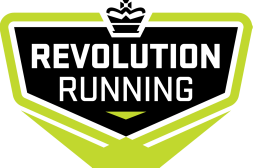 Up to 25 Rev Runners can join this trip in shared accommodation for 2 nights. We will include fun activities such as skate/nordic skiiing, snow shoeing fat biking and tubing, plus a group meal (individually paid for on Friday night). Please bring enough food for your own breakfasts, lunches and for Saturday evening pot luck dinner. Fridges are available in the cabin kitchen. Cabin includes 2 queen beds and full bathroom in each room, full large kitchen and huge living room and dining area. Choose to book a full room for 2, half a room sharing with someone else or go with the sofa sleeper option in th living area. (Nordic center rental opens at 8:30AM). 6:00PM onwards Potluck Dinner at our lodge main room. Last name A-H side dish or salad, I-P Main dish, Q-Z dessert. Must be checked out by 10am.